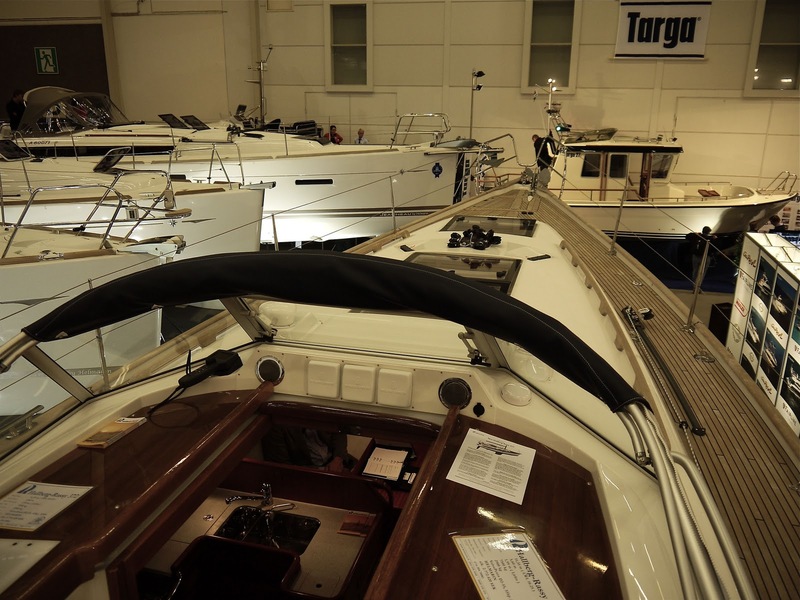 Last weekend we visited Boat Show in Turku Congress Center. There was quite a good selection of sailing boats compared to previous years, so it was interesting to compare different boat models. Mostly this kind of exhibition is about comparing interiors of different boats. Without rigging it is difficult to compare the deck layout. Although we are not looking for a new boat it is interesting to see what's new on the market. 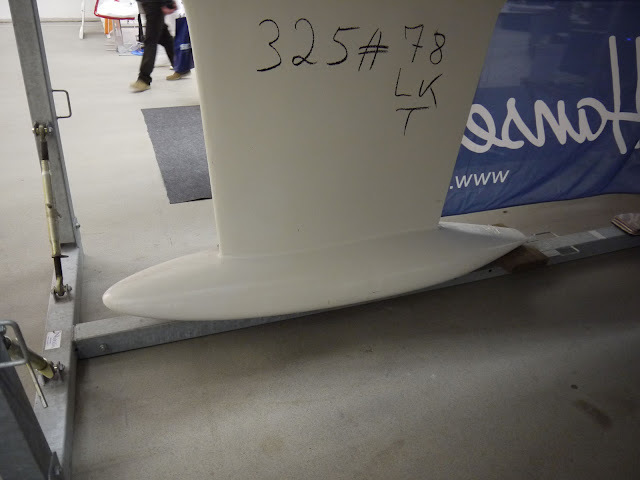 New Hallberg-Rassy 372. 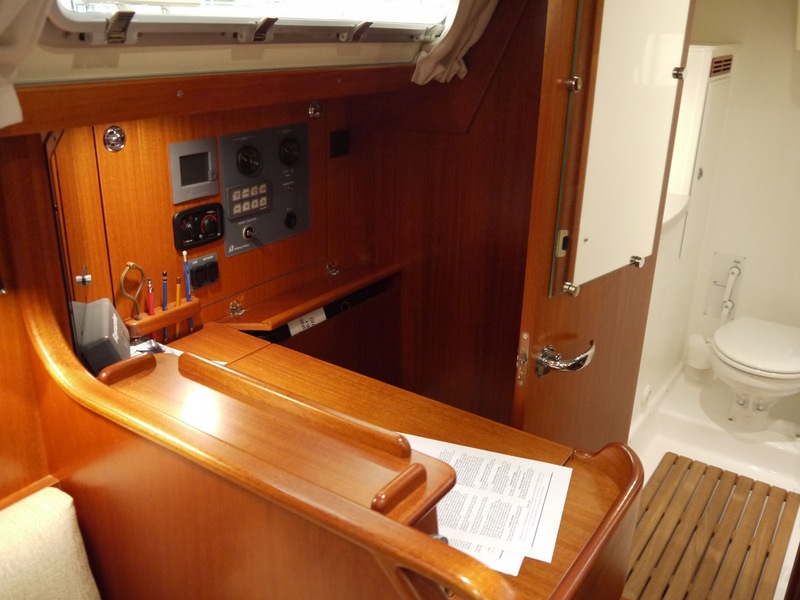 Still a lot of typical HR-features like windshield and a wooden toerail, but the underwater hull is modern with spade rudder and shorter keel. Also the aft cockpit seems to be current design trend for HR. Interior materials have pretty much remained same for decades in HR. 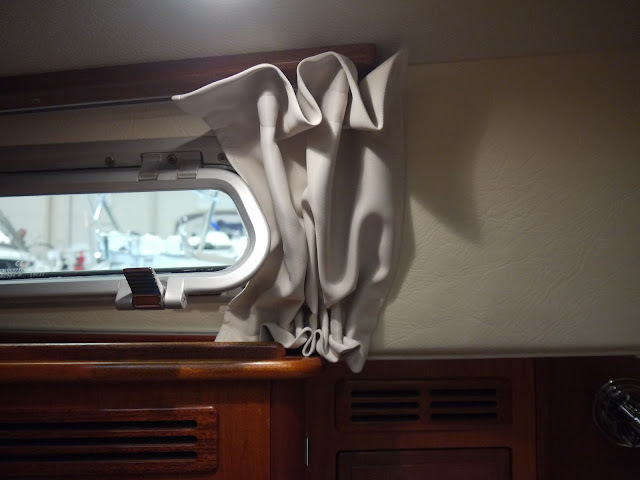 However, natural white curtains and cushions and two large deck hatches makes saloon bright and modern. 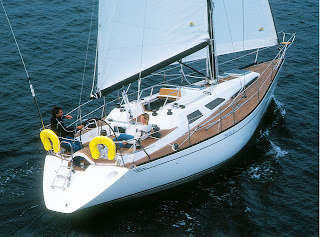 T-keel in Hanse 325 is modern, but how practical in a cruising boat? 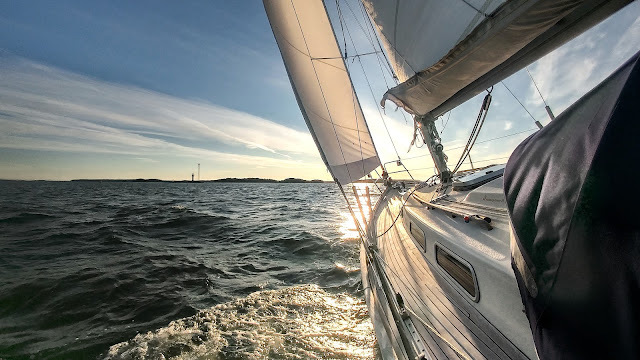 At least it is good in catching fishnets and buoy chains behind the keel. Another design trend coming from Volvo Ocean Race. 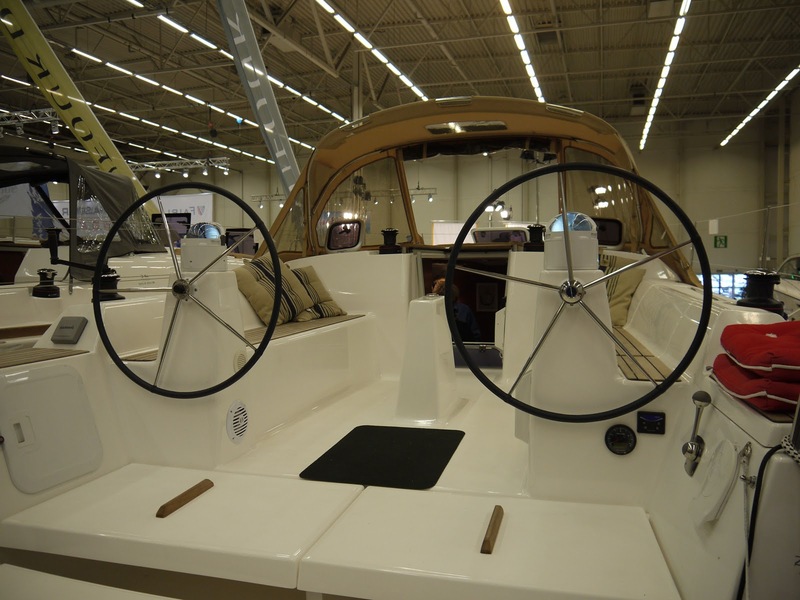 Double wheels are now introduced in smaller boats as well. Here in new Dufour 335.